SCANLON HOWLEY & DOHERTY is committed to the vigorous defense of all health care providers: physicians, nurses, dentists, dental assistants, physician assistants and other individual heath care providers, as well as hospitals, health care systems and institutions, and nursing homes. Our firm has extensive experience defending medical malpractice claims in every area of health care law. SHD has particular expertise in successfully defending health care providers and entities at trial and further mitigating potential exposure. Our mission is to ensure a comprehensive defense by working closely with our clients. Our track record speaks for itself. 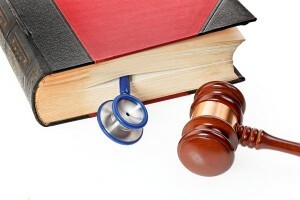 SHD handles medical malpractice claims against individual physicians in all specialties of practice. We have defended hundreds of individual medical and dental doctors throughout Pennsylvania. We emphasize personalized service that places the interest of our client, their practice, and their reputation first. Hundreds of favorable defense trial verdicts evidence our diligent defense against frivolous medical malpractice claims. We also represent physician practice groups and corporations that have been sued over employees’ conduct. Defending practice groups and corporations is critical to ensuring comprehensive protection of groups and corporations, as well as the individual medical professional. SHD will consult with health care facilities in the development of hospital and nursing home policies, procedures and other protocol. We assist administrations in integrating current medical legal issues with their facilities’ guidelines to promote patient safety and general efficiency of the health care system. We also advise and represent facilities on disciplinary, ethical and administrative actions. At SHD, we protect the interests of every level of medical professional, including certified registered nurse anesthetists, physicians’ assistants, nurse practitioners, nurses, administrators, technicians, dental assistants and nurses’ aids.